(Natural News) One of the great things about food is how different ingredients can be combined to produce a dish with its own unique flavor. There’s a catch, however — not all ingredients, when combined, are beneficial, and some of them may even be harmful to a person’s health. In his video, Charles Kwang of Kwang Wellness identifies one of the most common pairings when it comes to food, and how it can lead to inflammation. Kwang highlights that wheat and sugar, when taken separately, has potential health benefits; however, once the two are combined, it creates a synergistic effect that can worsen inflammation. “They make you feel yucky,” he added. It just happens that Western diets are rife with items that have both wheat and sugars — including bread, breakfast cereals, pasta, noodles, cakes, and biscuits. 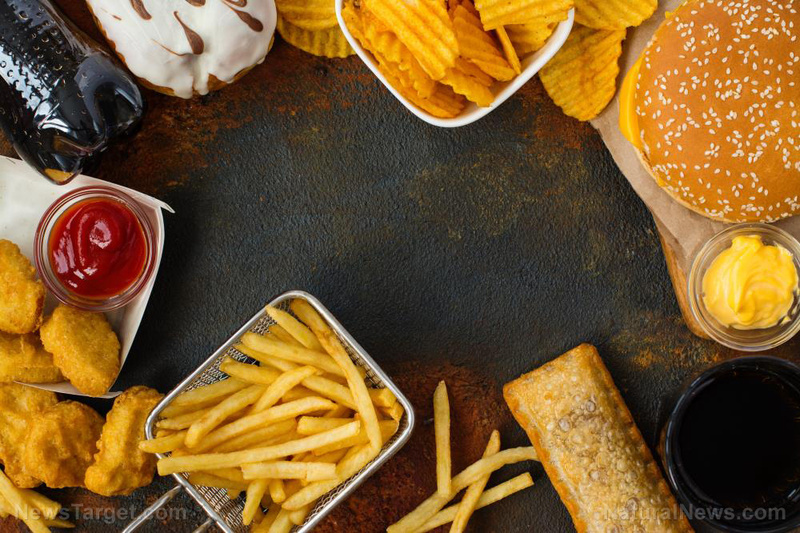 To make it worse, most of these foods are what’s known as refined carbs, or those that have been processed and stripped of most nutrients and fiber. Eating refined carbs can increase the risk of obesity, Type 2 diabetes, and cardiovascular diseases. Earlier studies have stated that refined carbs can cause inflammation, as well as an increase in belly fat and resistance to leptin (an enzyme that regulates body weight). To handle this, Kwang recommends cutting back on foods that contain wheat and sugar first. Some things he recommends cutting out first include sodas, desserts, ice cream, cakes, and cookies. Doing that, he adds, can keep a person in good shape. After clearing the body of wheat and sugar, Kwang suggests juicing as a basic energy source. This also helps the body wean off its dependency on added sugars. However, there’s a caveat: Symptoms of withdrawal may appear, which may last for two weeks. For some, it can be longer. Still, it’s a good starting point for any person who’s looking to cut back on the combination of wheat and sugars. “It’s not hard; it’s just something that we all have to do,” he says. Instead of white rice, go for brown or wild rice or riced cauliflower. Go for cauliflower mash or sweet potato as an alternative to white potatoes. Switch to whole wheat pasta or spaghetti squash instead of regular pasta. Whole-wheat or whole-grain bread is healthier and more flavorful than white bread. Opt for steel-cut or rolled oats instead for instant oatmeal. Cornflakes are no match for the nutrients in low-sugar bran flakes. The great thing with these options is that these are complex carbohydrates, which the body digests slowly, causing a steady increase in blood sugar (instead of the spikes experienced in refined carbs). It’s also rich in nutrients and fiber, which can help with weight loss, prevent disease, and improve energy levels. You can find more alternatives to the dreaded wheat and sugar twosome at Food.news.